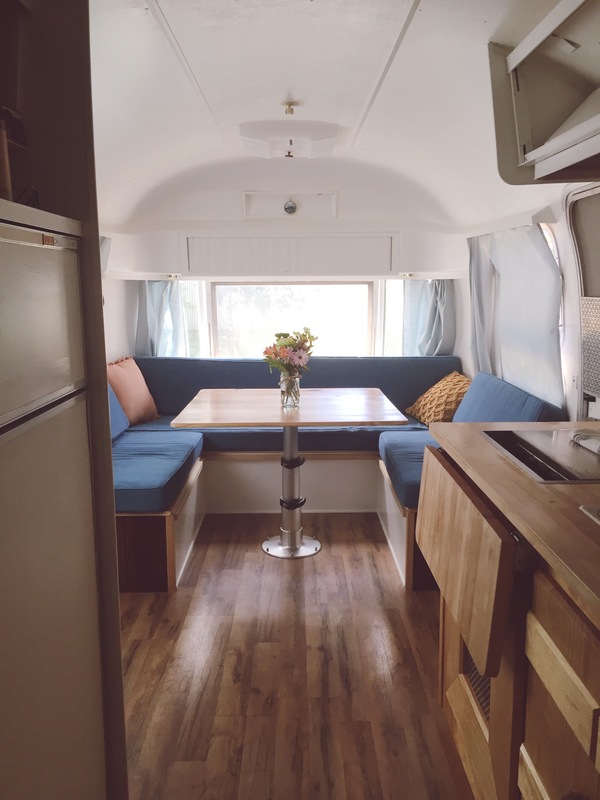 For the longest time, I’ve been debating on how to update everyone on our Airstream life, which has caused this space to go silent. I’ve wanted to approach it in the most authentic way possible, and so I’ve been mulling over what’s meaningful to divulge and what’s not. What would I want to know? 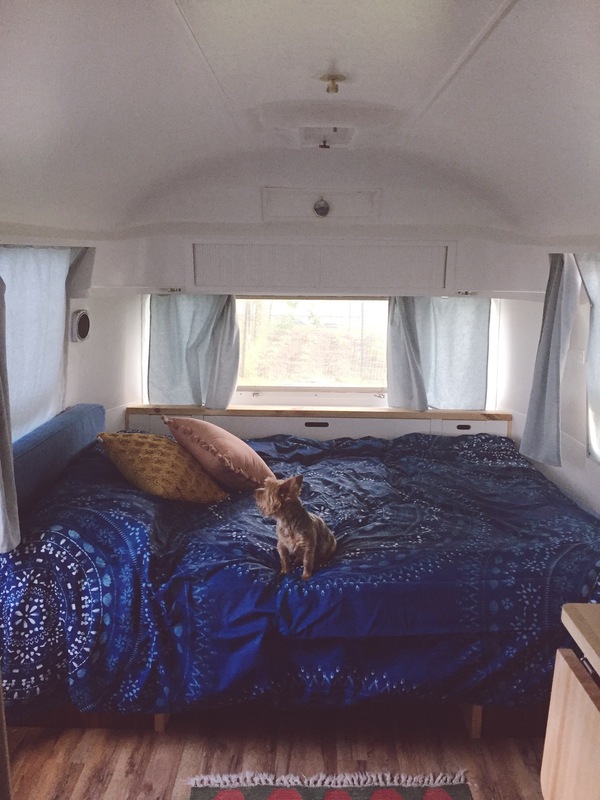 We’ve been living in the Airstream for 3 months now, but our story is pretty different than most. 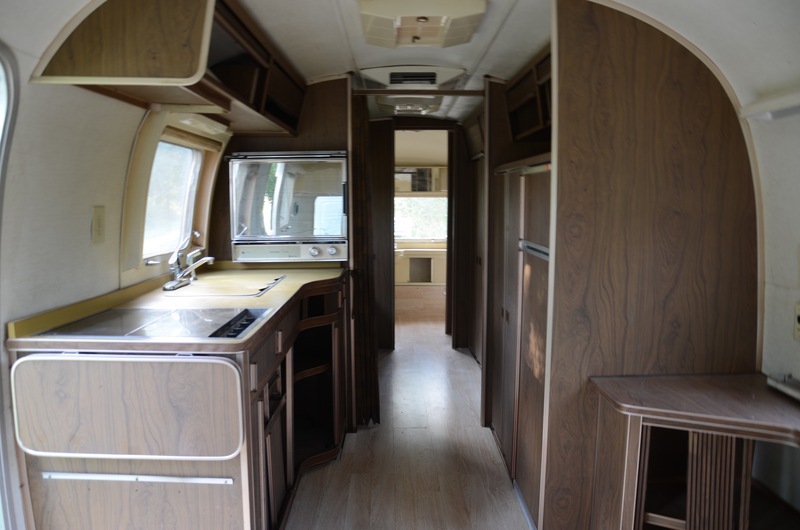 Our experience hasn’t been a 6 month renovation followed by full-time traveling, though we’d love to get there eventually. The closest way I could describe our experience would be to say that we are “boon-docking” at my family’s property on the river. We have cold and hot water, but our water pressure isn’t ideal since our hose runs about 200 feet from the the water spigot. Essentially, our bathroom is a “make do with what you have” set-up. Since we are stationary for the time-being and don’t have access to a sewage system, we rely on the bathroom in my family’s cabin. 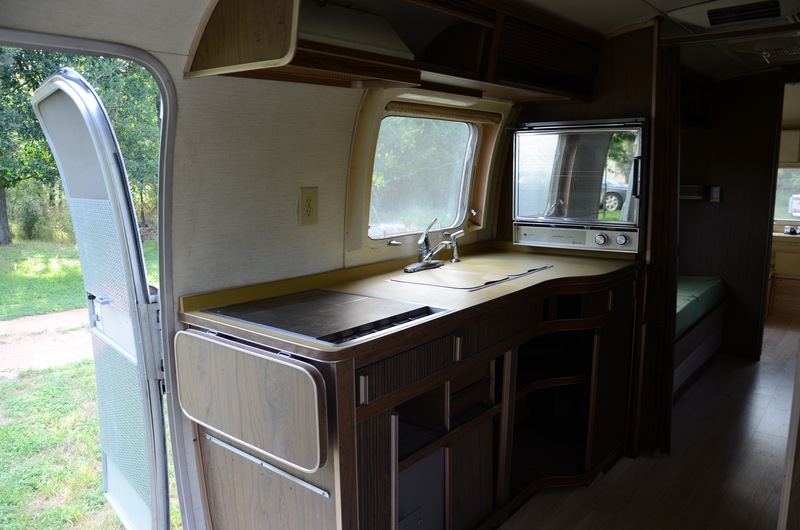 Originally, we bought the Airstream because we thought we would be moving. We didn’t want to spend the next few years hopping from apartment to apartment (and spending a ton of money on rent). 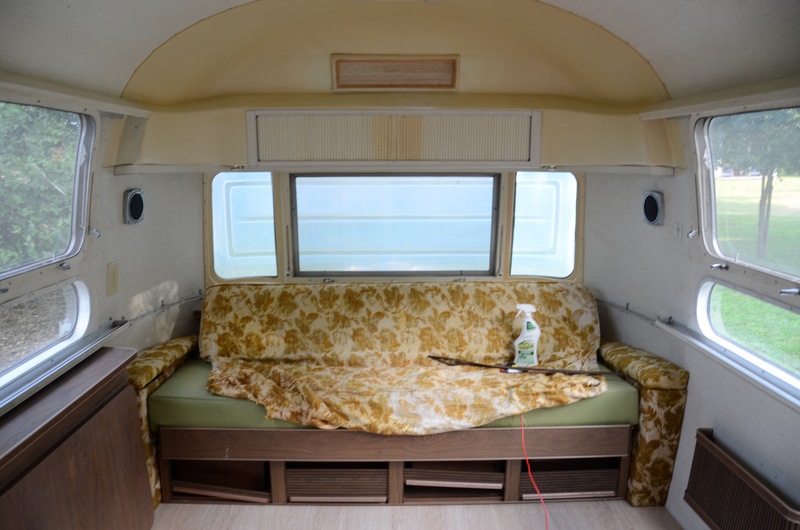 This, combined with the fact that we’d been enamored with the tiny home movement, found us with a completely original 1972 Airstream that we had no idea what we were doing with. We dove into the project with a drive to build a life we believed in even though we were extraordinarily ignorant to what we had signed up for. It made me appreciate a whole new side of Mason because he took such a huge leap of faith with me. 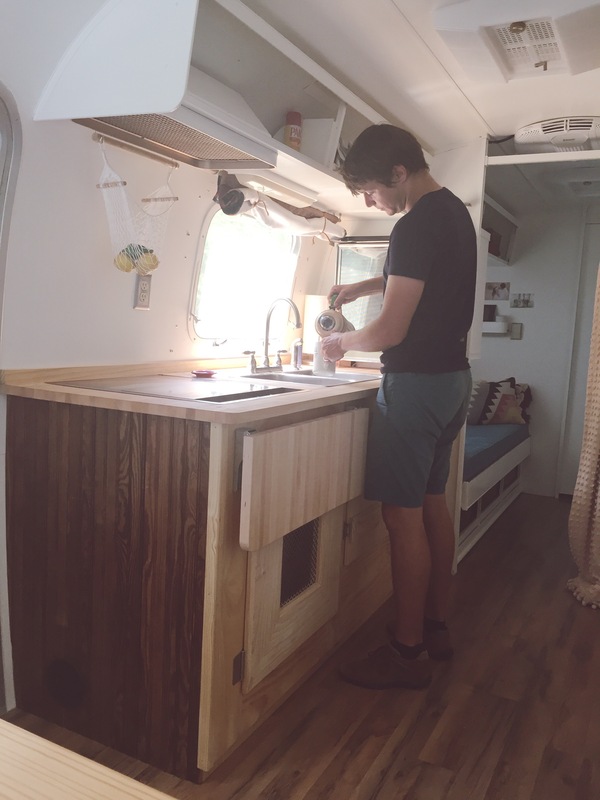 He spent hundreds of hours to make something that was never intended for full time living into a comfortable home for us. Despite having been together for 7 years, it solidified the fact that he was the perfect life-long adventuring partner for me. No dream was too challenging or too daunting. Fast forward a year, and our moving plans fell through. This leaves us without access to full water/sewage hook-ups, wifi, or level ground. Instead of RV life in a new city, we’ve become one with nature. We percolate our coffee on the gas stove every morning and watch rabbits nibble on grass outside the window. We tease one another as we stumble over each other in the kitchen, and we promise never to take a real shower for granted ever again. In many ways, I feel like I live by my nerve endings. I feel everything so much more than I did before. The smallest things have the biggest significance, and I notice every little change in our habitat. I’m fully awake to our existence and those around us. It’s like my feet are finally on solid ground, whereas before I was unknowingly floating through a haze of day-to-day routine. I know now what I can endure and what I really, truly can live without. 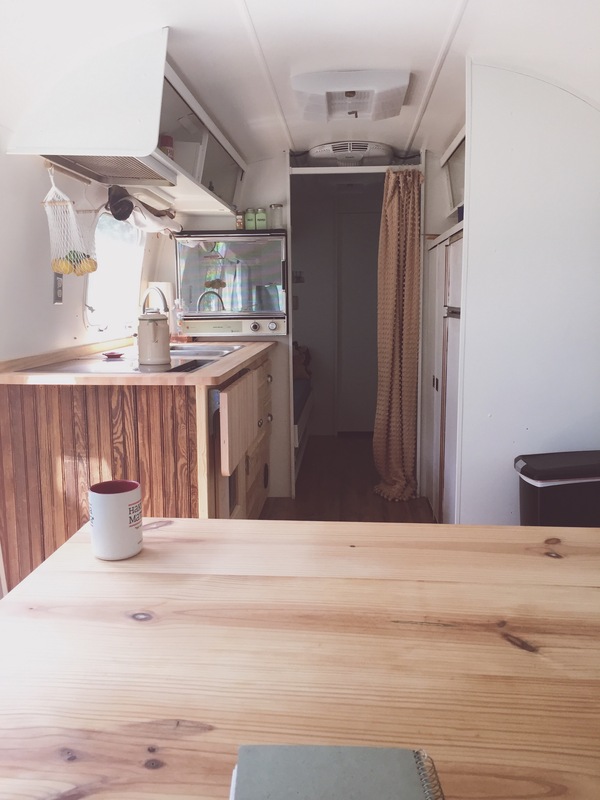 It’s not perfect – some of our paint has already started to chip and we are far from finished with the renovation as a whole – but I really wouldn’t change a thing. This path let us switch gears from a life in the city to a home on the river, and I have faith that it will allow us to do it again if the need arises. Now, we can afford to let Mason follow his ultimate dream of becoming a pilot – and with his training approaching, it makes my heart full knowing that this decision facilitates a depth of living that we couldn’t even fathom before. After years of watching him struggle with what path he was going to take, I’ve had the honor of watching him confidently choose the one passion that he’s always loved most. 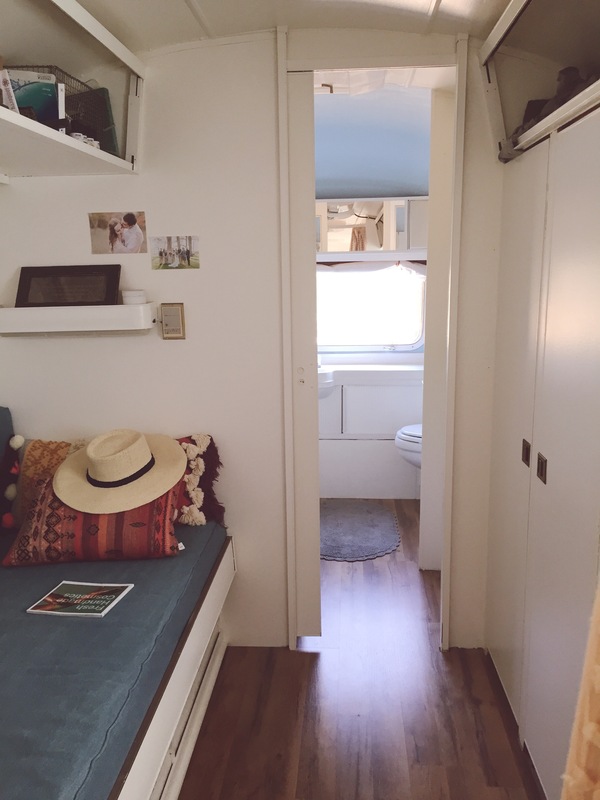 So, what would I say to someone thinking about living tiny or someone contemplating living a non-traditional lifestyle? I would say, follow your intuition. Somehow, as humans, we already know what’s best. Keep your heart open to alternate ideas and new ways of living. If they keep coming back time-after-time, as though the universe is trying to tell you something – take the leap. Life is meant for living wide open. Don’t close yourself off to the things that seem impossible or only possible for certain people. It may not be easy, but it’s pretty darn fulfilling to try. 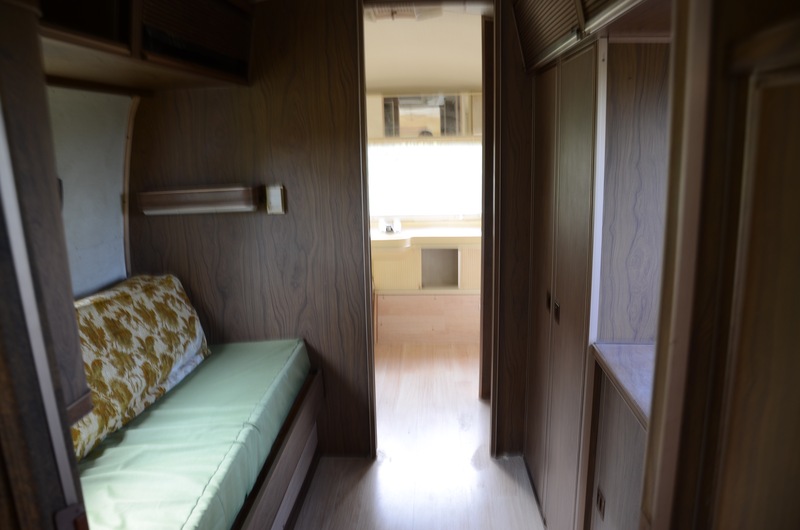 Interested in what our home looks like compared to before? See below, and as always, thanks for following along! Follow us on Instagram for further updates! This looks pretty amazing – what a job you did! Thank you! It’s definitely nice to see how far we’ve come – it’s been quite the journey and continues on!